The answer? None of the above. Why? Your best resource is the group of people in your firm who “get it” when it comes to BD. * Plan to attend conferences frequently, but the technical knowledge they will gain is only a part of why they go. * Assess which clients (or targets) will be there, who will be presenting papers, who will be chairing a technical session, and who will be exhibiting—all before signing up. * Plan (and confirm!) dinners with clients and prospects before the conference. * Maintain a “wish list” of future prospects, while working hard to maintain existing relationships and to take budding ones to the next level. How do you identify and nurture them? * Interact with existing clients. * Select strategic targets and nurture the relationships. * Consistently have clients who want to work with them. * Always seem to have more work than they (or their department) can perform. A Formula for Success…or Failure? 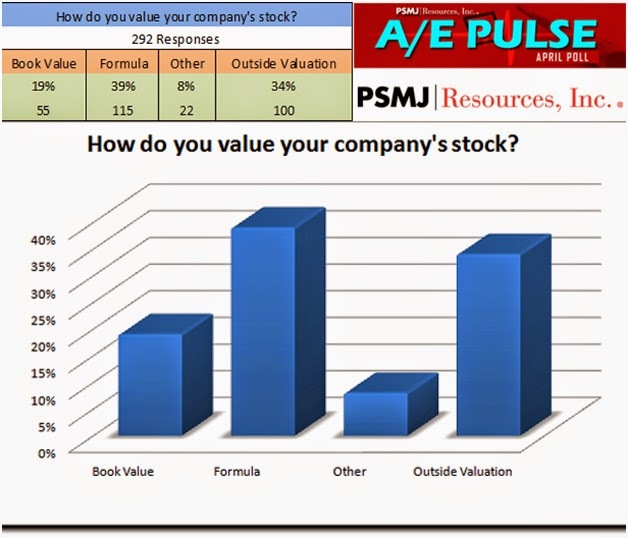 PSMJ’s latest A/E Pulse poll shows that more than 1/3 of A/E firms (a full 39%) use a formula to determine their stock price. A ‘formula’ can defined as some sort of mathematical equation to calculate the value at a given point in time. Over the years, I’ve seen it all when it comes to valuation formulas…from the real basic and simple ones to the extremely complex ones. Some yield a value that is quite close to the actual fair market value of the stock and some are just way off. 1. Keep it simple. A valuation formula should be easy to calculate and difficult to manipulate. Don’t start trying to factor in external things like consumer price indices or other economic metrics. Of course, there are external economic and market factors that can raise and lower valuations across the board over time. But, I’ve yet to see a formula that can accurately capture this. Focus on simple metrics like revenue, earnings, and balance sheet strength in your formula. 2. Give it a check. To my point above about external economic and market factors, no valuation formula should go unchecked for more than three or four years. The A/E industry is heavily exposed to boom and bust cycles. Benchmarking your valuation formula with an outside professional valuation every few years will confirm whether the formula is still yielding reasonable results or if it needs to be recalibrated. 3. Know the basis. The actual value of an A/E firm’s equity is highly dependent on the purpose of a valuation. Generally speaking, an internal share transfer valuation will almost always be significantly lower than an external sale valuation. Know exactly which basis of value your formula is designed for and use it only for that purpose. One parting point of note. The A/E Pulse data also shows that 19% of the firms surveyed are setting their stock price at book value. I’m out of space here, but I certainly want to point out some pros and cons of this approach in a future article. As a quick teaser, I’ll just point out that book value is a metric that is fairly easy to calculate. But, the downside is that it can grossly undervalue a design firm. More to come on that topic! How are some firms able to move into foreign markets? The firms that are successful in pursuing international grants have developed a strategy. 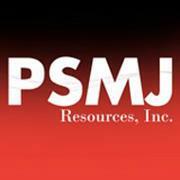 Their strategies include: Analyzing how funds are broken down for type of project, size of project, and project finance terms; Determining which consultants have been selected in the past and why; Finding out who the developers and other financial partners were, if applicable; and Establishing what preliminary studies have been done, as well as what studies are in the pipeline. Stage One: Access the firm’s capabilities and its purpose for pursuing international opportunities. Evaluate the resources and capabilities of the firm as well as the needs and corporate growth strategy to develop an international market entry strategy. Stage Two: Gather market intelligence and project sources. United States firms have found that publicly funded or publicly guaranteed international projects provide better assurance of being paid on time in accordance with the signed contract. Use these resources to track opportunities and gather information on country intelligence. Stage Three: Nurture relationships with international public/private officials who are visiting the United States. Delegations from foreign countries frequently visit the United States to study U.S. facilities and receive training. Hosting these delegations is often a cost-effective way for firms to develop key international relationships. Stage Four: Identify project opportunities and gauge project viability. International project opportunities can be tracked through different trade and multilateral agencies. Often pre-feasibility and feasibility studies are available that assess the economic, financial, and technical viability of potential projects in the international arena. Stage Five: Acquire in-country business guidance. The U.S. Commercial Services department and the U.S. Agency for International Development are two excellent sources for overseas contacts and market intelligence. Stage Six: Nurture relationships with international public officials overseas. As a firm targets a country, it becomes more appropriate to visit the country and develop relationships with overseas public and private sector officials. Stage Seven: Influence project outcomes. U.S. firms face stiff competition from the Japanese and the Europeans when procuring projects overseas. Project follow-up through direct contacts or foreign ambassadors shows a firm’s interest and commitment to the project outcome. The international market offers a new frontier for U.S. firms, and with planned and developed strategies, the risks can be very rewarding and profitable.